Dunnellon, Florida actually lies across three counties; Levy, Citrus, and Marion County, although it is generally thought of as being in Marion. The town was named after J.F. Dunn, a railroad promoter. 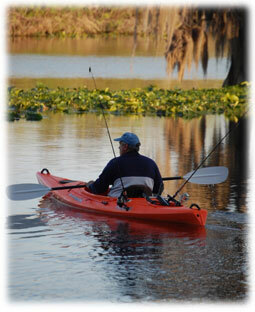 An outdoor lover’s getaway, Dunnellon strives to preserve its history and natural landscapes. 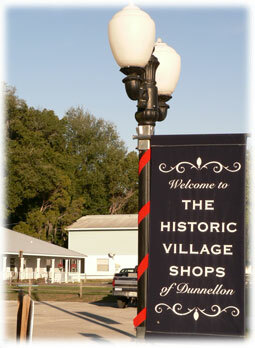 Dunnellon was founded in 1887. Two years later phosphate was discovered in the area, leading to huge growth in the area. Much of the mining took place near the Rainbow River (previously called ‘Blue Run’), using the river to transport phosphates. Today the community of ‘Blue Cove’ occupies the location where much of the mining was done. 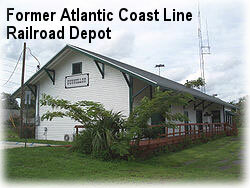 A period of prosperity followed and the town developed a railroad, school, post office, electric lights, connected water and a wooden bridge over the Withlacoochee River. The Greater Dunnellon Historical Society has preserved many of the remains and visitors today can stroll oak-lined streets in Dunnellon’s nationally registered historic district while viewing authentically restored nineteenth century homes. 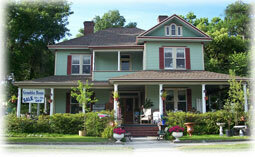 The Dunnellon Boomtown Historic District consists of about 70 historic buildings. The town’s early beginnings in phosphate mining are remembered each April with Boom Town Days, a tribute sponsored by the Dunnellon Area Chamber of Commerce. The event features participants dressed in period costumes and includes craft shows, antique car exhibits, music, beauty pageants and food. Dunnellon has been called the “Treasure of Florida’s Nature Coast,” and anyone who visits this quaint community will readily see why. With its crystal clear springs, native vegetation and wildlife, scenic nature trails and tranquil gardens, Dunnellon has plenty of the natural beauty typical of the region. Surrounded by two beautiful rivers and steeped in a proudly preserved history, Dunnellon embodies Old Florida character and charm. Dunnellon boasts Florida’s second largest artesian spring, Rainbow Springs, which feeds roughly 500 million gallons of crystal clear water each day into the scenic Rainbow River. With a year-round temperature of 68 to 72 degrees, the waters of this river are a popular destination for anyone interested in boating, tubing, canoeing, swimming, diving or snorkeling. Tube and canoe rentals are available at the Rainbow Springs State Park Campground and Marion County’s KP Hole Park, as well as through private sources. Fishing is also a popular water-based activity, with largemouth bass, sunfish, bream and longnose gar inhabiting the river. Archaeological evidence indicates that people have been using this spring for nearly 10,000 years. And from the 1930s through the 1970s, was the site of a popular, privately-owned theme park attraction. The Rainbow River was designated as a Registered Natural Landmark in 1972, an Aquatic Preserve in 1986, and an “Outstanding Florida Waterway” in 1987. 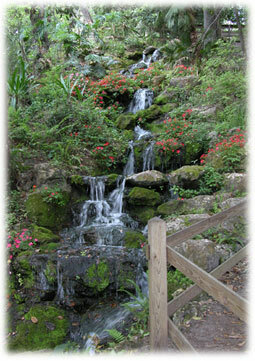 The state purchased the original area that was the Rainbow Springs Attraction in 1990. Volunteers cleared the overgrown park and opened the park on weekends to the public. 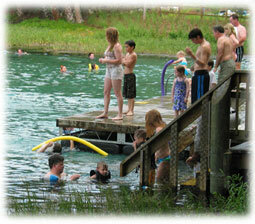 The Florida Park Service officially opened Rainbow Springs State Park on a full time basis on March 9, 1995. The natural beauty of the area can be enjoyed from land as easily as from its beckoning waters. Hikers will find pristine forests of oak, pine and magnolia trees inhabited by indigenous birds such as cormorant, blue heron, barred owl and anhinga. For those wanting to put their wheels in motion, the Withlacoochee State Trail provides the opportunity for bikers and rollerbladers to enjoy Dunnellon’s portion of Florida’s Rails to Trails program and access to the Cross Florida Greenway at Pruitt Trail Head. Areas in and around Dunnellon served as filming locations for the 2001 horror film “Jeepers Creepers”, with a great deal of location work on “Tiger Trail”, the road to Dunnellon High School, officially known as SW 180th Avenue Rd., just outside of Rainbow Springs State Park. Local accommodations, from the charming bed and breakfast to the waterfront resort, and restaurants offering everything from gourmet to home-cooked fare help make Dunnellon a perfect vacation spot for those wanting a relaxing respite in a hectic world. 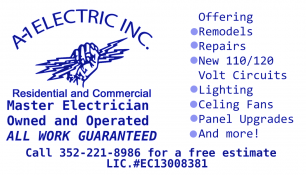 Local residents have worked hard to maintain Dunnellon’s natural beauty and preserve the integrity of its history. Their pride in their home town shows.